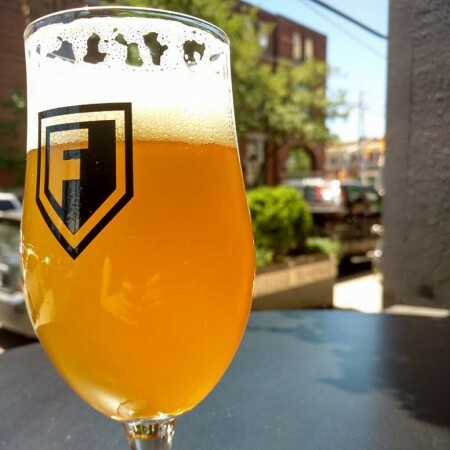 TORONTO, ON – Folly Brewpub has announced that it will be marking the upcoming Canada Day long weekend with the release of a new limited edition beer. Oh My Dear Ontario takes its name from a song by Ottawa singer-songwriter Jim Bryson that is a favourite of Folly’s brewers Chris Conway and Christina Coady. The name is also a nod to Ontario being the adopted home of the brewers, who are both from Newfoundland, and Folly’s placement in the “Top 5 Breweries” in the recently released Ontario Craft Beer Guide. Given the opportunity to brew a one-off, Chris and Christina decided to brew a classic, simple saison using only Weyermann Pilsner malt, German Magnum hops, and French Strisselspalt hops. The beer was fermented with Escarpment Lab’s “New World Saison Blend” and is one of the most pure expressions of the blend Folly has produced. Oh My Dear Ontario was bottled in early June and allowed to mature in the bottle for several weeks. This allows for a lively carbonation and a more complex brettanomyces character in this saison. 500 ml bottles of Oh My Dear Ontario will go on sale in the Folly Brewpub retail store starting at 12:00 noon on Thursday June 30th, and will be available there while supplies last.